With one episode left, I found it fitting to dedicate this week's Links I Love to Mad Men, a show that has helped redefine the quality of television. I was lucky enough to nab tickets to hear the cast reminice about their favorite scenes. It was a honor to get some insight on what the creator and the actors were thinking. This link is especially great since they transcribed all the most interesting bits of the event. 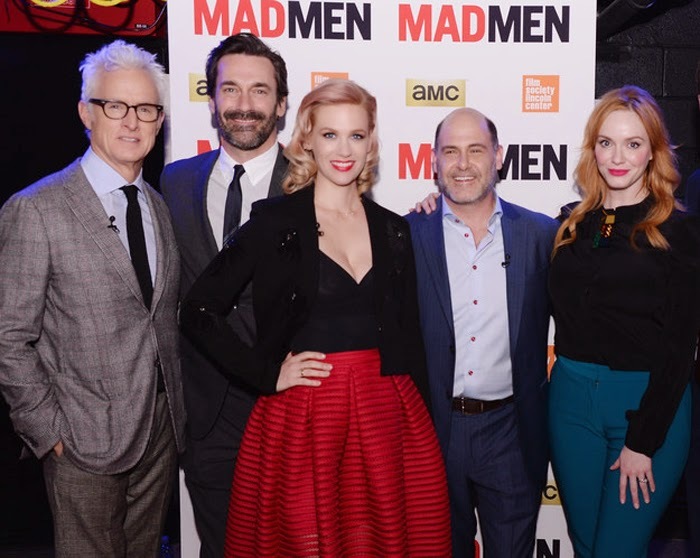 23 Things You Probably Didn’t Know About “Mad Men,” According To The Cast And Creator. 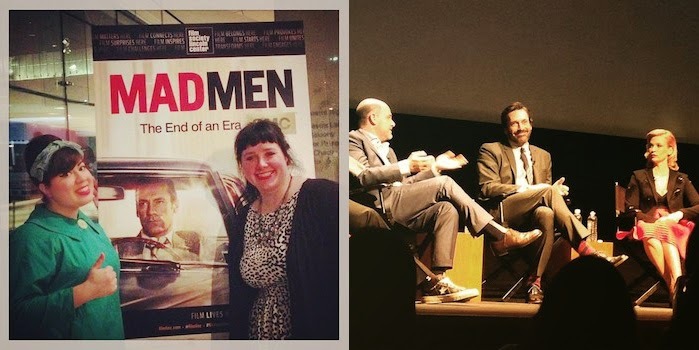 I definitely learned a few new things about Mad Men and the amazing people behind it. Here are some shots I was able to sneak while there, along with a video of Christina Hendricks talking about the first episode. Morgane creates the loveliest illustrations. 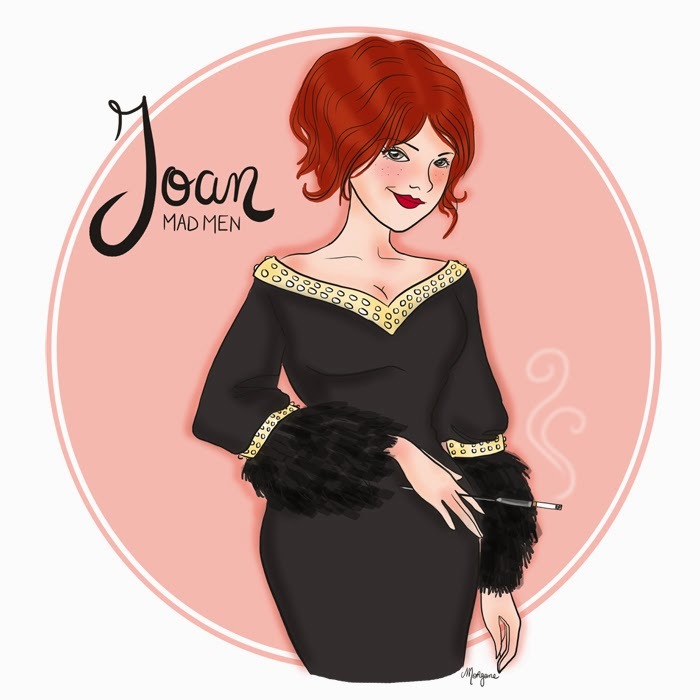 Inspired by a recent episode of Mad Men, she created this illustration of Joan's amazing dress. Check Morgane's etsy for more! 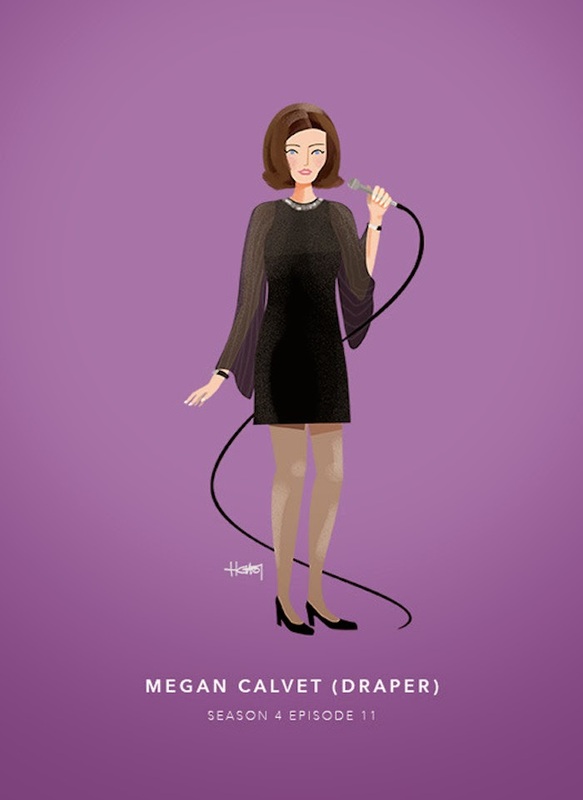 Another artist illustrated the women of Don Draper's romantic past.